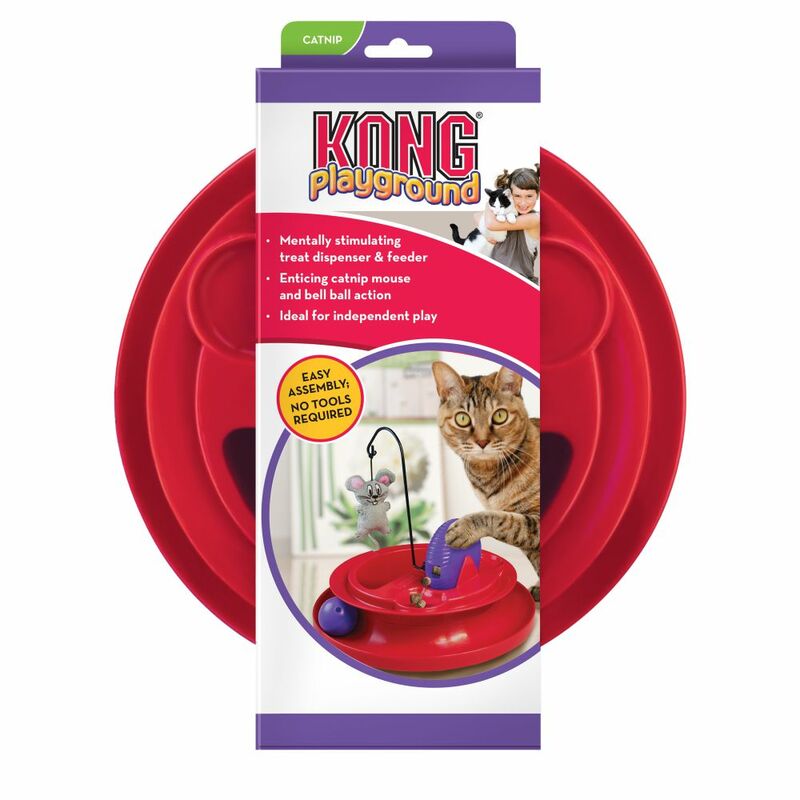 KONG Cat Playground entices cats with a Premium Catnip toy and tempting ball, promoting healthy exercise. 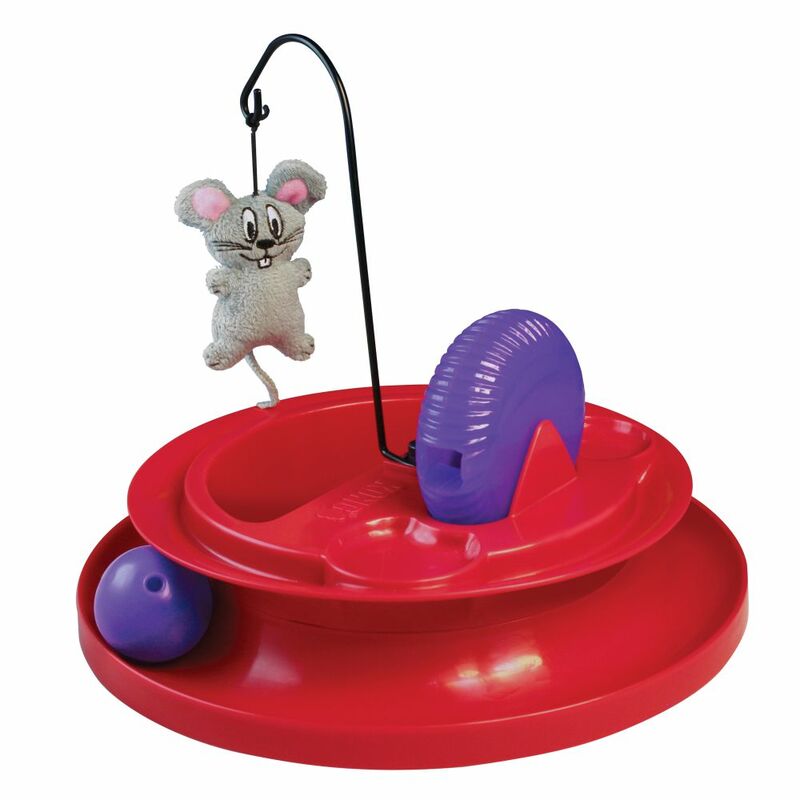 This multi-functional toy also contains a mentally stimulating treat dispenser and water trough. Easy to assemble; no tools required. Want to see more? 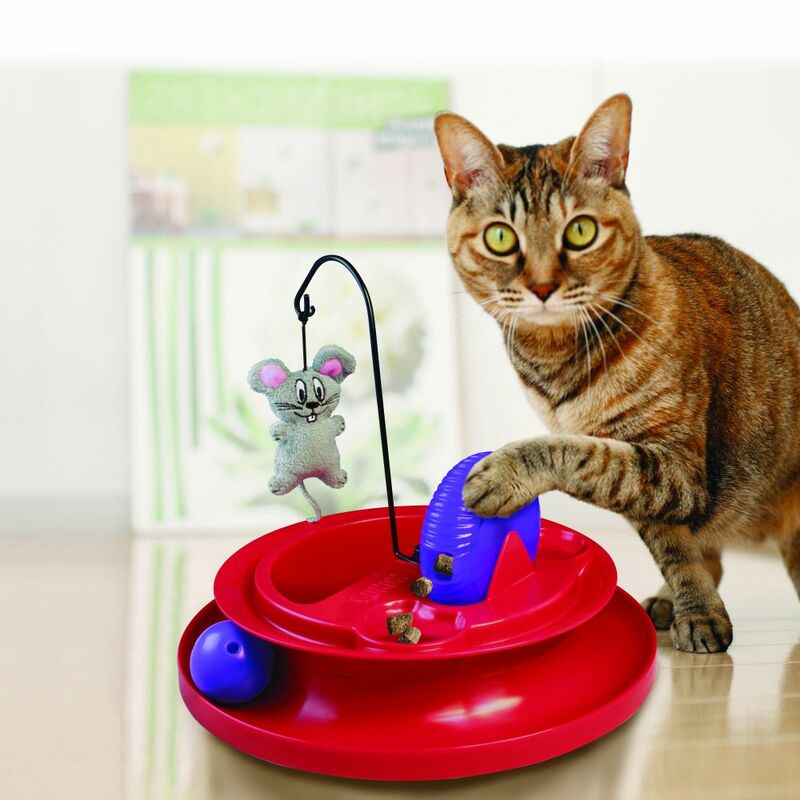 Check out the Cat Playground in action!